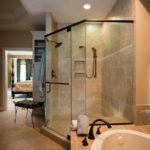 Since 1987, Just Glass & Mirror has been serving the Philadelphia-Southern New Jersey area for all their glass & mirror projects. 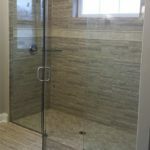 From commercial storefronts to frameless shower enclosures and everything in between, JGM will complete your project with experience, quality and integrity! 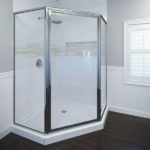 If you are still using old shower curtains or your original shower is getting mold and mildew, or leaking is an issue, call Just Glass to come out and help you design a brand new elegant shower enclosure for your bathroom! JGM replaces auto glass for many of the dealerships in the area. This should give you the confidence to Trust in Just. Not only do we replace windshields, but can repair/replace your Door Glass, Back Glass, Side view mirrors, and even repair windshields when Stone Chips are present! Make your first impression count with a storefront window repair or full glass replacement from Just Glass. 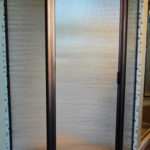 We specialize in Custom storefront installations! 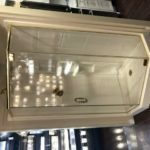 Our storefront technicians will ensure your storefront repair or replacement is done to your individual specifications and we offer the fastest turnaround time in the industry. Talk with us about upgrading or repairing your store front today! Just Glass has the ability to create beautiful glass table tops, built to your specifications. 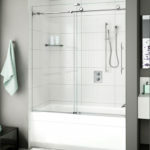 There’s several benefits to a glass table top including protection and improved aesthetics. Glass table tops can protect your furniture from scratches and possible damage. We can produce ANY shape glass table top if you can DREAM it, we can create it! 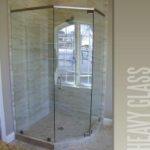 At Just Glass and Mirror we can cut you a custom mirror that will be a perfect fit, or replacement for any mirror you currently have in your home or office, regardless of its purpose. When you have a mirror break, contact us immediately! 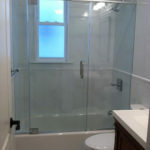 We also offer free in home estimates, while also providing you with our experience and advice to design your dream space! Great Service. 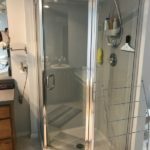 I had them remove a master bathroom mirror. They came out on scheduled date and removed the mirror quickly with very little damage to the drywall. Great Job and Very Professional. Would highly recommend. So I have to say this place rocks!! Dennis is extremely nice and professional. The technician that worked on my window did an excellent job he even walked me out to the window before I paid for it to show me the work done. Amazing job it came out much better than anticipated. I had a chipped window that needed to be filled to make it structurally sound. Not only were they able to fill it but you can barely tell it ever happened. I highly recommend just glass. Do yourself a favor before going anywhere else and give them a shot. Do you have an image for reference?